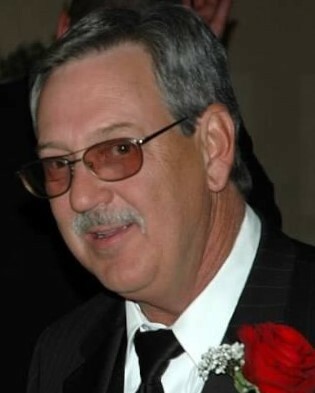 Gary Joe Graham, age 66, passed away in his home on September 1, 2018. Gary was born on July 18, 1952, in Denver, Colorado, to Wayne and Vera (Schultz) Graham. Gary attended Northglenn High School where he was an active member of the gymnastics team. Gary enjoyed spending his summers and years following high school with family in Nebraska. In 1982, Gary met his wife, Barbara, and in 1984, they moved to Loveland, Colorado, where he spent the remainder of his years. Gary started working as a Heavy Equipment Operator for the City of Loveland shortly after they had moved into town. Gary spent the next 34 years with the City as a dedicated employee. He retired July 19, 2018, as the Water Operations Supervisor. Throughout the years, Gary enjoyed his time gardening, wood working and fixin' things. He enjoyed fishing, reading and had a great interest in history and trains. He bled orange and blue and could always be found cheering for the Broncos on Sunday's. Gary was a devoted family man. He is survived by his parents Wayne & Vera, sister, Barbara, brothers, Mike & Rick, wife, Barbara Graham, and their children Russ, Penny, Randy, Jenny, Rachel and Nicole. He was a man of his word even if those words were few and far between. He believed that family and work was his purpose. Gary and Barbara enjoyed spending time with his parents, siblings, children, 18 grandchildren and 8 great grandchildren. An open house reception and gathering for family and friends will be held at the Viegut Funeral Home Reception Center on Friday, September 14, 2018 from 4:00pm-6:00pm.